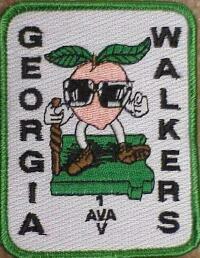 A walking club that is a member of the American Volkssport Association, America's Walking Club. We sponsor 10-kilometer walks and have 14 Year-Round-Events throughout the year. For more information about American Volkssport Association, America's Walking Club, click on their link to the left. Their web page will explain what we do and what Volkssporting is all about. For Information on upcoming Georgia Walkers events, Year Round Events, please click on one of the links on your left.